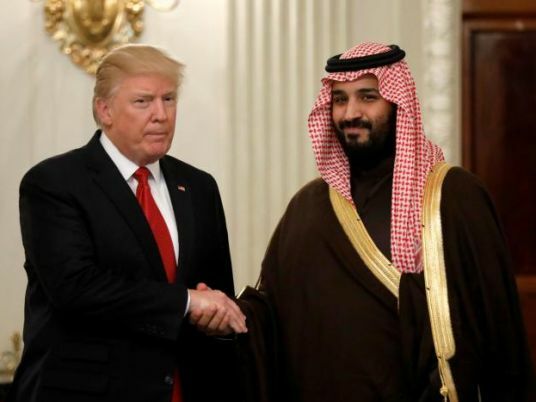 President Donald Trump vowed Tuesday to stick by ally Saudi Arabia even while admitting that de facto leader Crown Prince Mohammed bin Salman may have been behind the brutal murder of a dissident journalist. The gruesome murder of Khashoggi, who vanished after being lured into the Saudi consulate in Istanbul on October 2, has hugely embarrassed Washington. The killing torpedoed a PR campaign led by the crown prince to show that the conservative Islamic state has embarked on a new reformist path. In addition, the Saudis have helped in keeping oil prices low, Trump said. Trump’s statement caps a steady campaign to delay judgment on the Saudis over the fate of Khashoggi, a US resident who was sometimes critical of MBS and wrote for the Post. There was a chorus of disapproval from senior figures on his own side too, with Bob Corker, the chairman of the Senate’s powerful Committee on Foreign Relations accusing the White House of moonlighting “as a public relations firm” for the crown prince. But Secretary of State Mike Pompeo echoed Trump, indicating that Washington’s relationship with the Saudis is bigger than the horrific murder. “It’s a mean, nasty world out there, the Middle East in particular,” he told journalists. However, Turkish Foreign Minister Mevlut Cavusoglu told reporters after meeting Pompeo that his country was pushing for “whoever gave the instruction” for Khashoggi’s murder to be brought to justice. “We don’t see this issue as a bilateral issue — it is a criminal and judicial case and it has to be dealt like that,” he added.